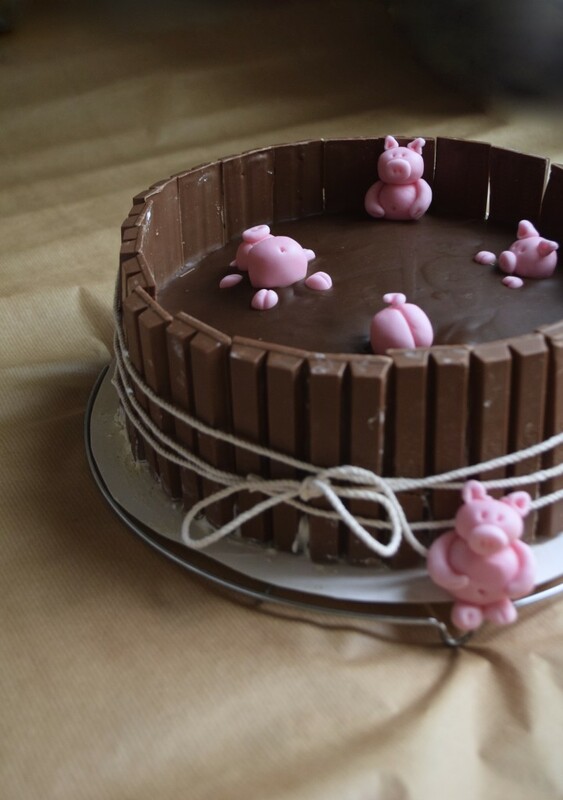 “Pig pool”, “Mud bath”, “Pigs in the mud”: this cake now widely made the tour of the culinary blogosphere. Great for special occasions as kids birthdays, this cake is ideal to make its impressive effect, but not for its delicacy: “Pigs in the fat” cake would be a perfect name as well. Many variations exist; I created mine while tooking my inspiration from some of them. The biscuit that I chose to make brings a bit of lightness and compensates the heaviness of the chocolate and the cream, thus, I would disadvise you to make a biscuit with butter, unless filling the cake with something lighter than the whipped cream. For the biscuit : 10 egg whites, 240g almond powder, 260g + 120g sugar, 70g flour, 240g dark chocolate, a pinch of salt. For the whipped cream: 33cl single cream, 1 vanilla pod, 1 carton of raspberries, a pinch of salt. For the chocolate ganache: 180g milk chocolate, 30cl crème fraîche. For the decoration : pink sugar dough modelling, 12×4 KitKat bars, 1 ribbon. 1.To make the little pigs: take the pink sugar dough modelling and shape the pigs with your hands. You need to make them in advance, by this way they will be more resistant when you will set the cake. 2. To make the cake biscuits: preheat the oven over 180C. Stir the almond powder, the 260g sugar and the flour together. In a fresh bowl, whip up the egg whites with a pinch of salt. Step by step, add the remaining 120g sugar as soon as the egg whites begin to foam. Once the egg whites are firm, add the powders delicately with a rubber spatula. In a small pan, melt over a low heat the dark chocolate. Let it warm a bit. 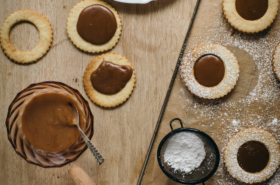 With the rubber spatula, add the chocolate into the biscuit dough, until it gets homogeneous. Put some butter and flour in 2 round moulds of 24cm diameter. Pour half of the dough into each of them and put it in the oven for approximately 15 minutes. Let it cooling down before turning out. 3. Prepare the whipped cream: in a fresh bowl, whip up the single cream with a pinch of salt and the seeds of the vanilla pod, until it gets a good texture (when you tilt the salad bowl, it doesn’t have to move. Be careful to not beating it too much, it could take a butter texture). Reserve for a few minutes in a fresh place. 4. Just before to set the cake: in a small pan over a low heat, warm the crème fraîche until it comes to the boil. Add the milk chocolate in small pieces and stir in a regular way until you get a homogeneous ganache mixture. Break Kitkat tablets in 2 parts (to obtain 24×2 bars). 5. The setting: first, put one biscuit on a cooking grill. Spread a first layer of whipped cream over the surface of the biscuit (approximately half of the whipped cream). Arrange in a regular way the raspberries above, then cover them with the second half of the whipped cream and smooth well the surface with a spatula. Put the second biscuit above the whipped cream/raspberries layer, by watching that the cake is stable. With the spatula, take some milk chocolate ganache and spread it around the cake. Arrange regularly the KitKat bars around (they have to adhere to the ganache, by this way they will be stable). Roll up the ribbon around the cake (2 or 3 tours would make it stronger) and make a knot. 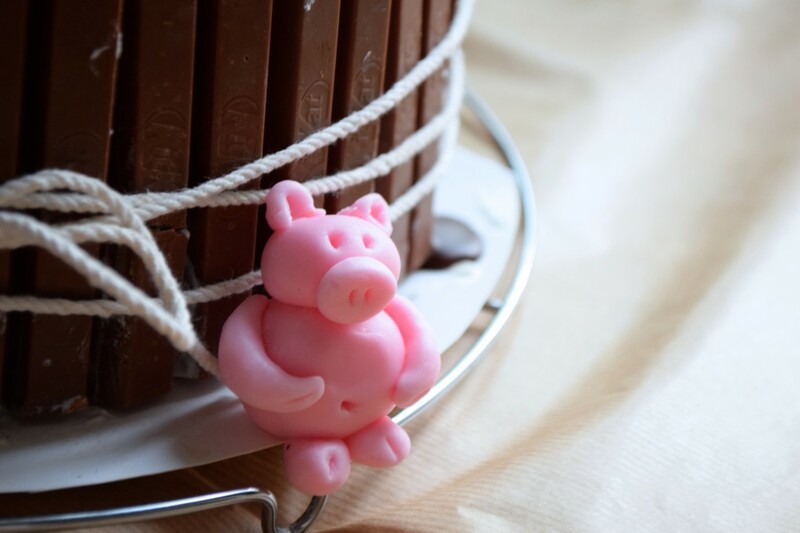 Pour homogeneously on the surface of the cake the rest of milk chocolate ganache, then put the sugar pigs where you want. 6. 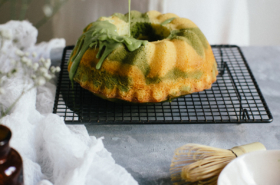 Let the cake cool down all night long in a fresh place. 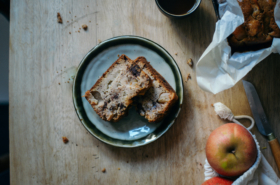 Put the cake at room temperature for 10-15 minutes before serving.